My name is Jerome Ellis. 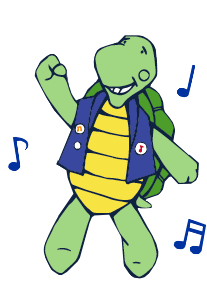 I am the music director for Turtle Dance Music. 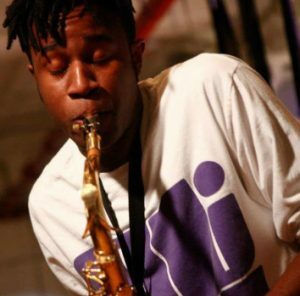 I play saxophone and piano, and I compose for the group. When I am performing in a Turtle Dance Music show, I often think of my garden. This is an inner garden that I have had access to since I was in sixth grade. Growing up, my parents mainly listened to Caribbean music. My Jamaican mother mainly listened to Caribbean gospel, like the Grace Thrillers (check them out, they’re amazing!). My Grenadian father mainly listened to Bob Marley and other reggae, calypso, dub, dancehall, soca, etc. But the first time I found my music was when I discovered Pachelbel’s Canon. I remember the day vividly. I had recently bought a CD called The Most Relaxing Classical Album in the World. One day I put it on in the bedroom that I shared with my brother (he was elsewhere in the house at this moment). When the third track came on, I was immediately bewitched. I had never felt this way before. I lay down on my bed and listened to the canon. When the track was over, I got up and put the track on repeat. I lay down again, face down, with my head buried in the sheets. I think I listened to it about fifteen times. As I listened, with all light blocked from my eyes, I saw a garden grow inside of me. The garden was reminiscent of the garden at the Francis Land House, a historic colonial house and museum in Virginia Beach, . As I listened to the music and watched the garden grow, I felt utter peace. This experience has remained with me to this day. And it is one of the primary experiences I try to impart in Turtle Dance Music shows. I believe that when a child experiences peace or joy or wonder during one of our shows, this memory can remain with them for years to come. Once the soul touches something, it does not forget it.